MTO for the Stencibility festival in April 2014. Photo courtesy of Marika Agu and Sirla. With a population of 100k, Tartu is the second largest town in Estonia. It’s mostly known for its university, which might not sound attractive in the context of globalization, when it’s cheaper than ever to travel to culturally vibrant capitals. 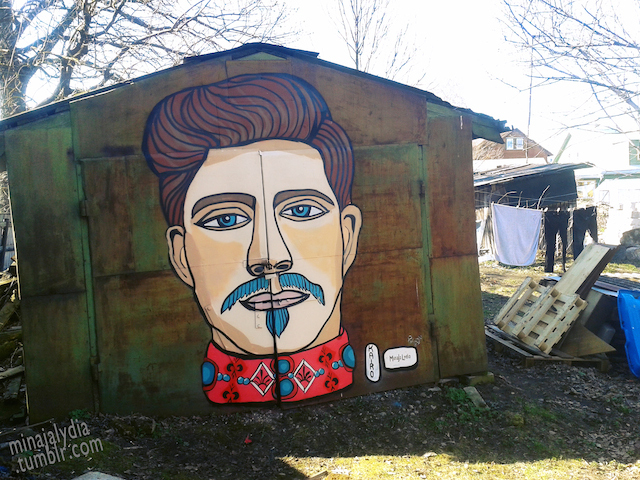 Nevertheless, the town has something unique and unexpected – for a small place like Tartu, there’s an extremely high concentration of highly varied street art. It’s something really new for the town as the scene has evolved in the past 7-8 years. 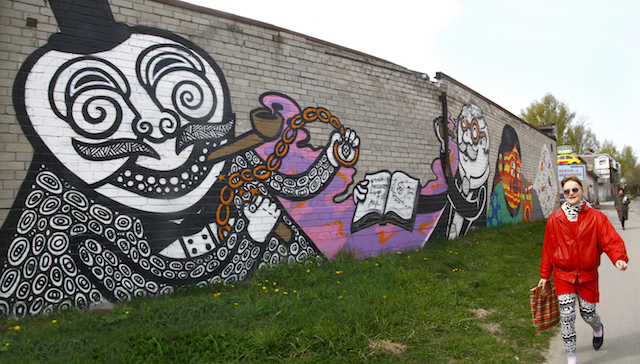 Works by Multistab (Estonia) and Kashink (France) for the last year’s Stencibility festival. Photo courtesy of Marika Agu and Sirla. The local street art festival is called Stencibility. 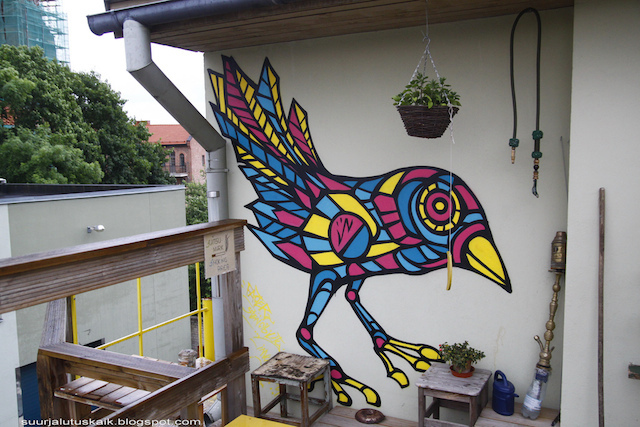 It started out from the stencil scene 5 years ago, since then Stencibility has turned into a street art festival that has bigger significance each year. 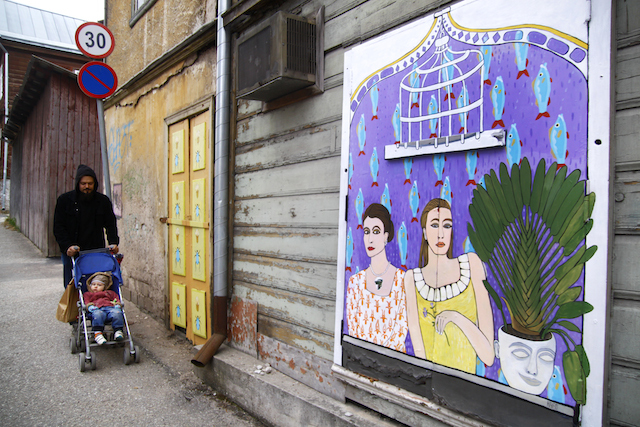 The festival emphasizes including the local community with educational programs, lectures, workshops, photo competitions, guided tours, street art map, exhibitions etc., and the people living in Tartu are generally positively minded towards street art. Even the city council acknowledges it, even though most of the time the festival is shamelessly promoting illegal street art. 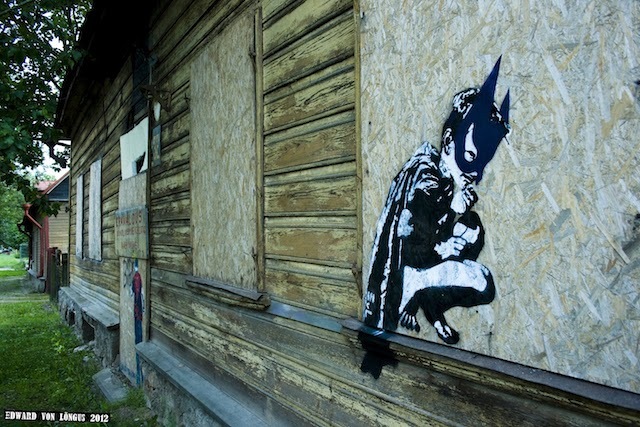 For example, one of the local street artist Edward von Lõngus was awarded in 2013 with an official cultural award for an illegal stencil work. “Ouroboros” by Maari Soekov at Stencibility 2012. Photo by Jyri L Mets. 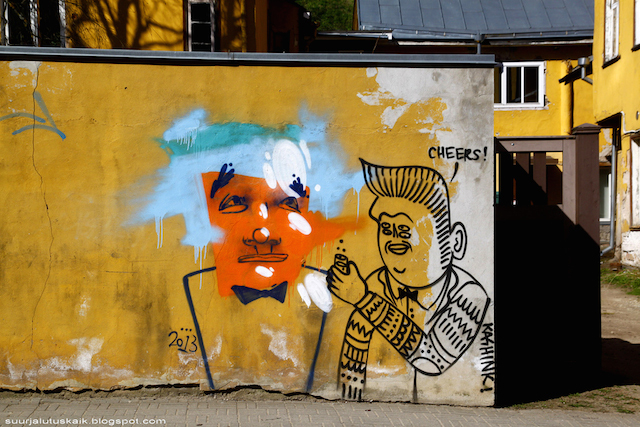 This intense activity has led Tartu to become the street art capital of Estonia and an alternative to nearby larger cities like Tallinn, Helsinki and Riga that have declared a zero-tolerance policy on illegal graffiti and street art. 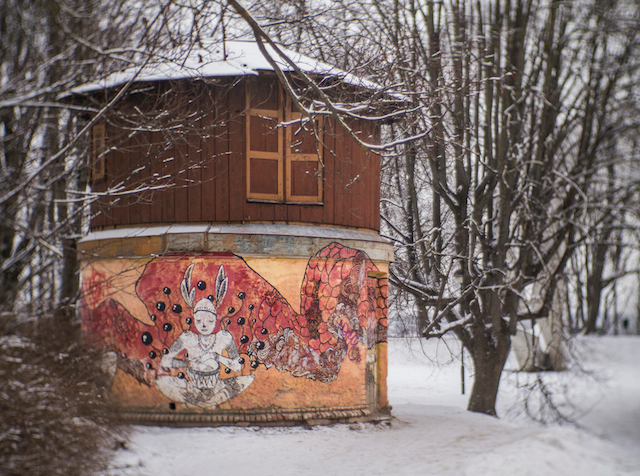 Tartu’s self-designated galleries, hidden treasures in abandoned buildings together with bits and pieces all over town, are must-see spots for every urban explorer. 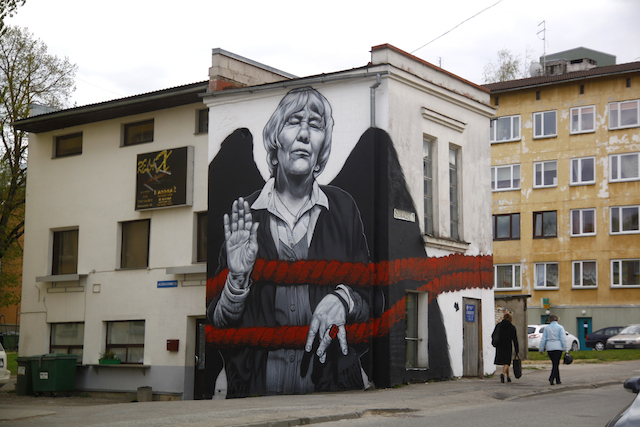 Tartu hosts a wide range of works from foreign and local artists like MTO, Kashink, Facter, Multistab, Edward von Lõngus, MinaJaLydia, Thobek, Brush Lee, Müra2000, Okeiko and many others. An illegal gallery under the bridge called the Freedom Gallery. Photo by Ruudu Rahumaru. 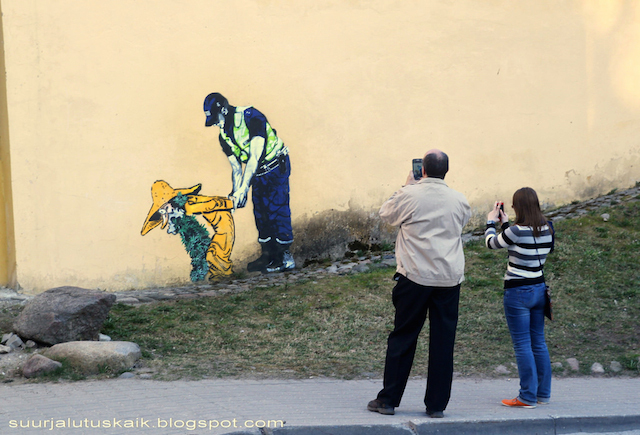 As the street art and graffiti scenes in Tartu have grown, local officials have implemented methods of control that rely on their discretion rather than a one-size-fits-all policy. 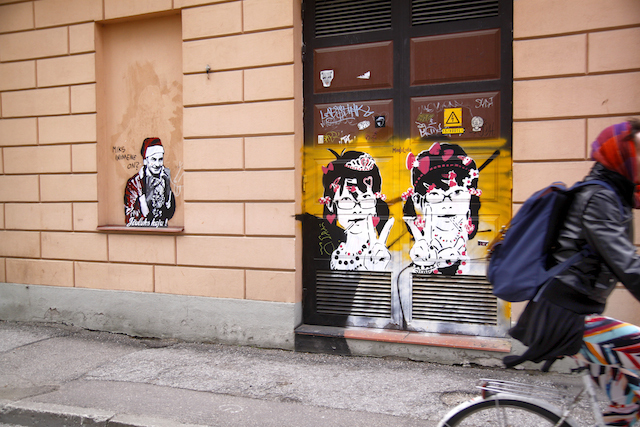 In May 2013, a controversial incident happened involving the city council and the street art activists who have been organizing Stencibility. 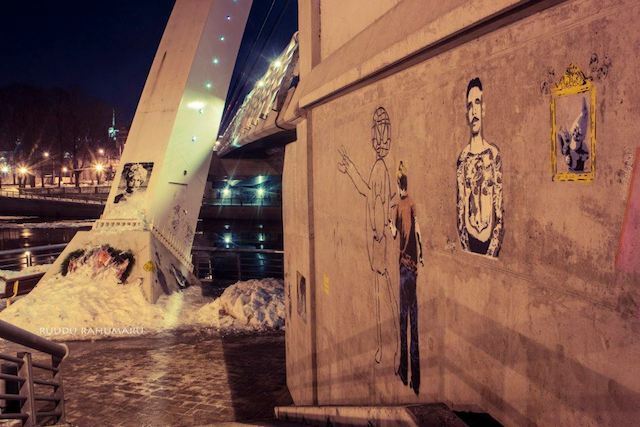 Tartu officials decided to buff the most active self-designated gallery in the city, a spot under a bridge called the “Freedom Gallery.” After some alarmed citizens noticed something strange happening under the bridge, they called the mayor Urmas Kruuse to ask for an explanation (it might seem strange, but this can be taken as a positive aspect of a small town). The mayor interrupted the removal work and asked for a consultation with the organizers of Stencibility on how to deal with the spray-painted images. 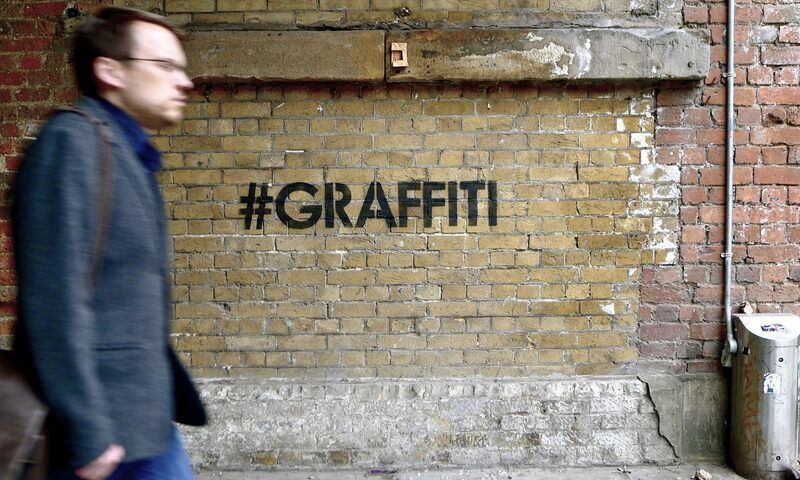 After some thought, those of us organizing the festival decided not to intervene in the city’s natural changing process or the government’s decisions by being the curators of illegal street art. We let the mayor and the other city officials decide for themselves what would stay and what would go. In the end, the “Freedom Gallery” was partially buffed, keeping the works that the city workers in charge of the removal deemed “beautiful” and removing the rest. 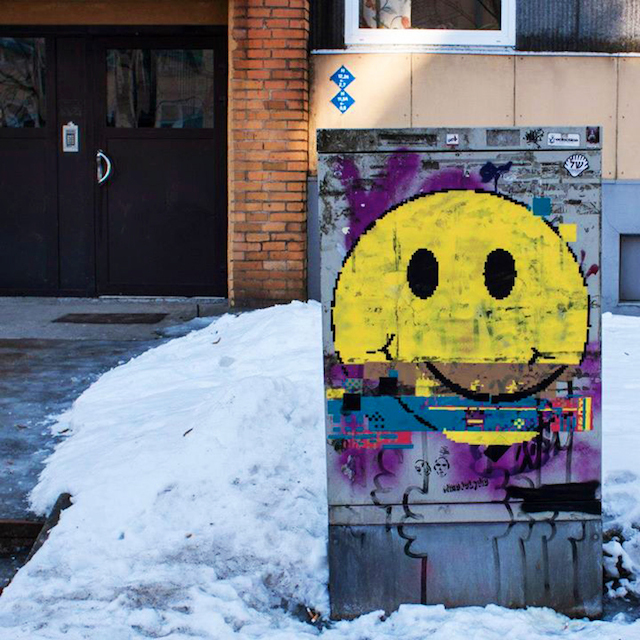 So, the city is not a free-for-all, but at least officials seem open to the idea that even illegal street art and graffiti may have some benefits. 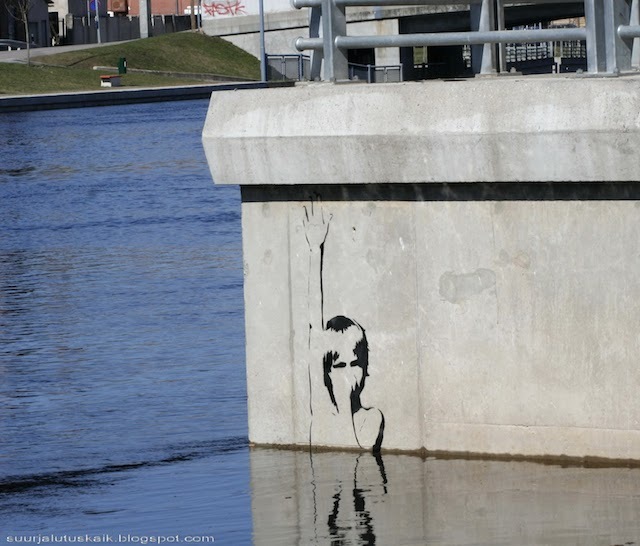 Although the phenomenon of street art can be found in all parts of the world, it’s important to note that Tartu, with its small size, is significant especially for its street art. You can take this as an invitation because I’d suggest to join the view as long as it’s alive and kickin’. “Artuuro” by KAIRO and MinaJaLydia. Photo by MinaJaLydia. KAIRO’s works on the streets. Photo courtesy of Marika Agu and Sirla. 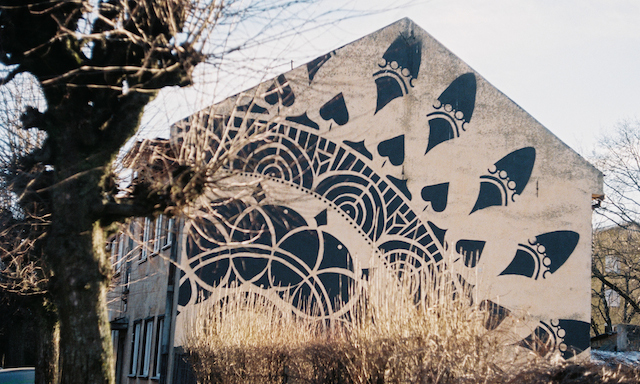 A large scale pattern by TAF. Photo courtesy of Marika Agu and Sirla. Edward von Lõngus. Photo by Edward von Lõngus. MinaJaLydia’s error smiley. Photo courtesy of Marika Agu and Sirla. An anonymous work and MinaJaLydia’s harajuku twins. Photo courtesy of Marika Agu and Sirla. 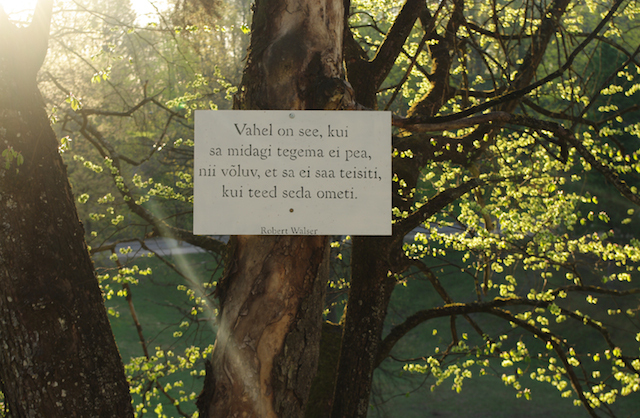 Translation: “Sometimes it’s so good not to do anything that you can’t resist and do it anyway.” Photo by Ragne Schults. Facter visiting Estonia. Photo by Suurjalutuskaik. Fans admiring a work by Edward von Lõngus. Photo by Suurjalutuskaik. Water measurer by Hapnik. Photo by Suurjalutuskaik. A dialogue on the street between Thobek (Latvia) and Kashink (France), who have never met in real life. Photo by Suurjalutuskaik.